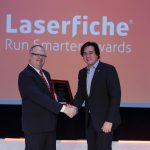 LONG BEACH, CA (Laserfiche)—April 5, 2010—Laserfiche today announced that AIIM has selected York County, PA, a long-time Laserfiche customer, as a finalist for the Carl E. Nelson Best Practice Award. 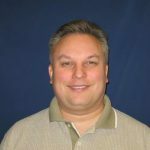 The award was established to recognize excellence in the use of enterprise content management (ECM). York County is a finalist in the large organization category. In the Clerk of Courts office, Laserfiche grants judges, attorneys and staff immediate, 24/7 access to more than 13,000 case files annually—from the office, from home and even from the Courtroom bench. In the Sheriff’s department, Laserfiche enables a video arraignment process that saves time, manpower and taxpayer dollars. In the Children and Youth Services department, Laserfiche integrates with the ZOC database, eliminating overlapping documents. The Carl E. Nelson Best Practice Award winner for each category will be announced at the AIIM Awards Celebration on Tuesday, April 20, at the Crystal Tea Room, 100 Penn Square East, Philadelphia, PA. The Laserfiche ECM system is designed to give IT managers central control over their information infrastructure while still offering business units the flexibility to respond quickly to changing conditions. The Laserfiche product suite is built upon Microsoft® technologies to simplify system administration, supports Microsoft SQL and Oracle® platforms and features a seamless integration with Microsoft Office® applications and a two-way integration with SharePoint®.